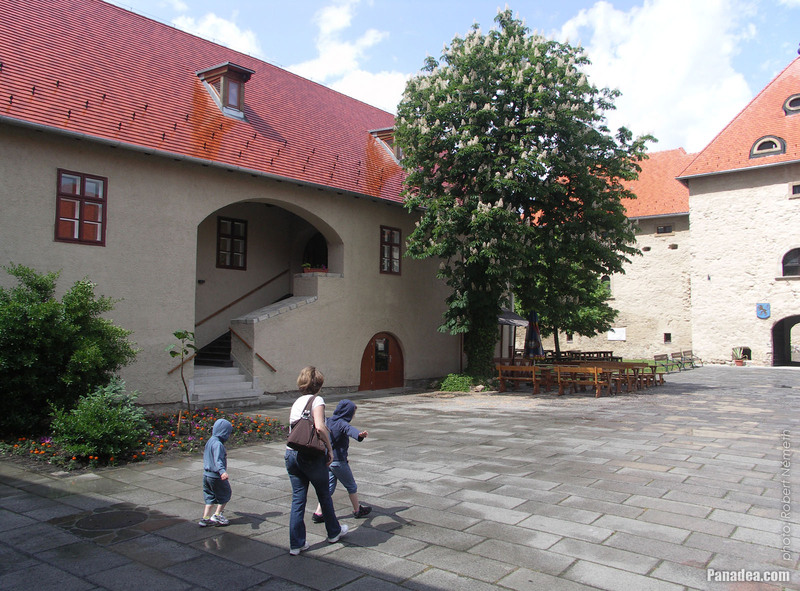 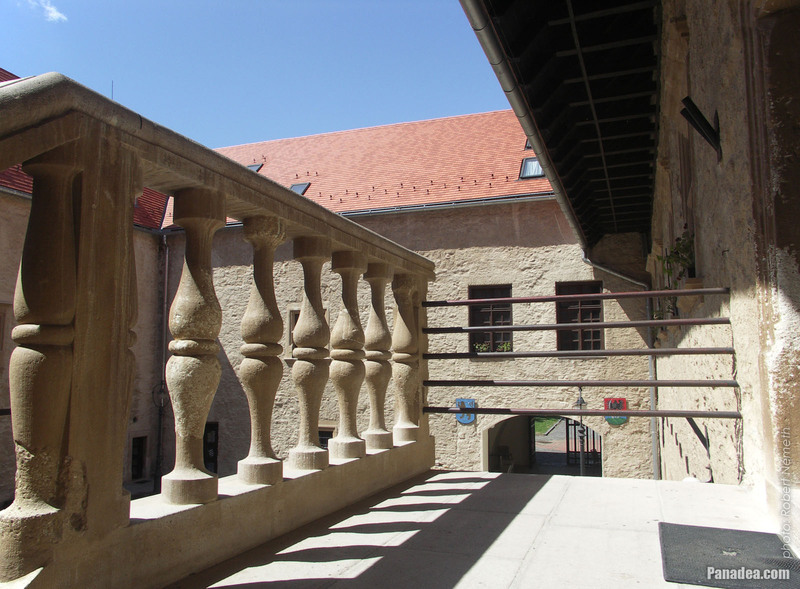 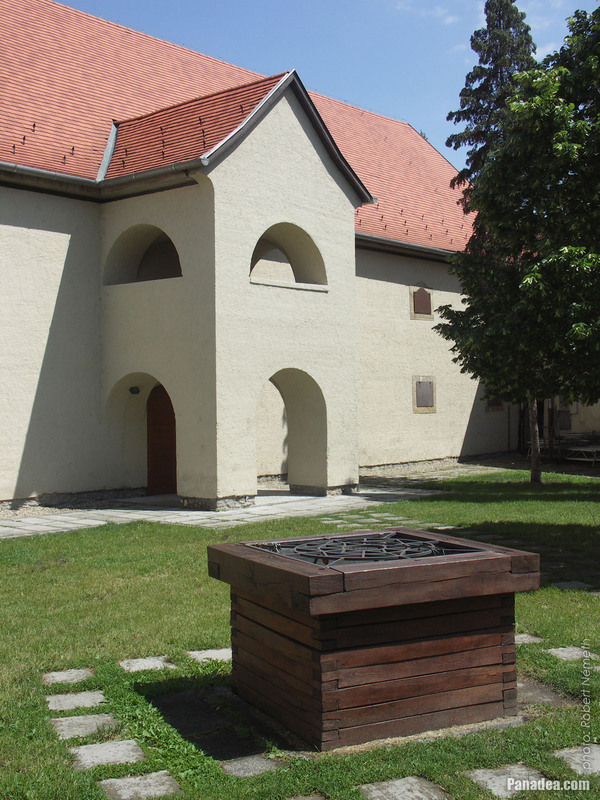 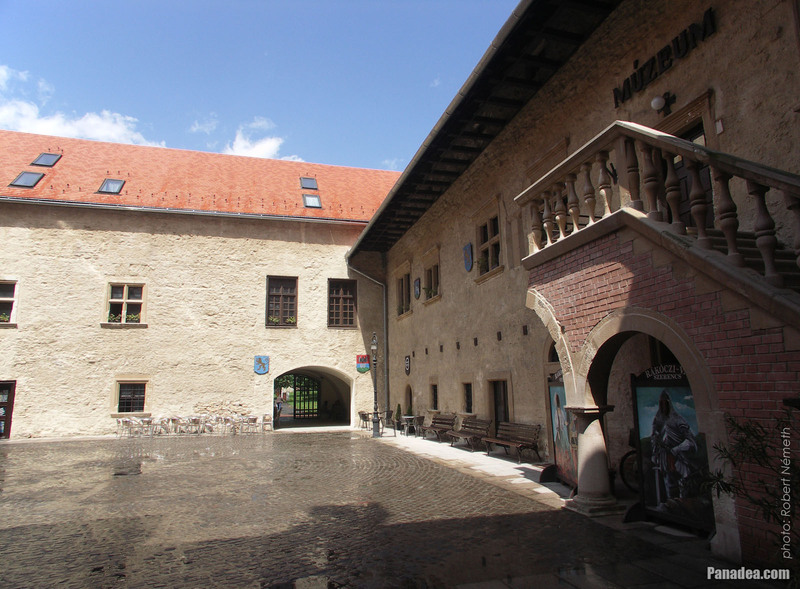 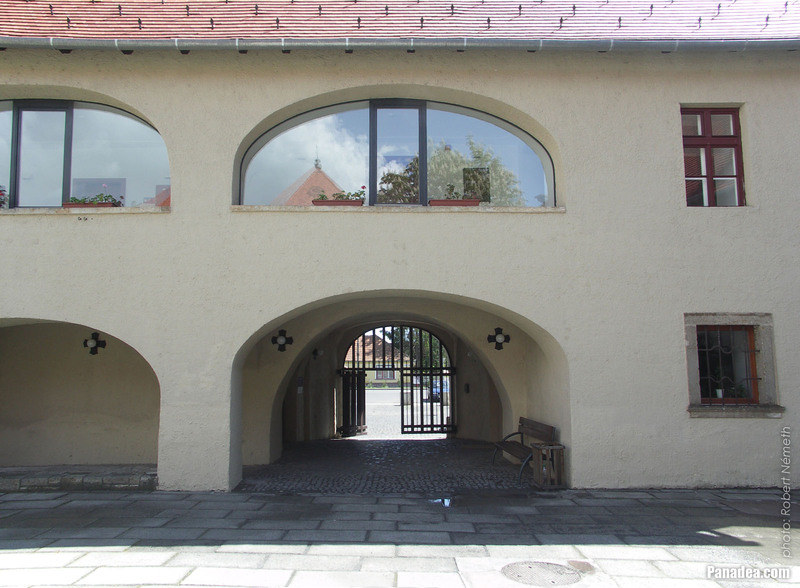 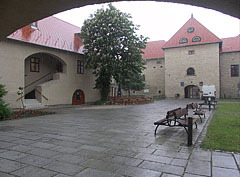 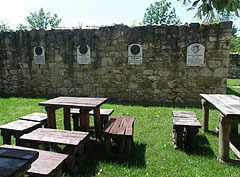 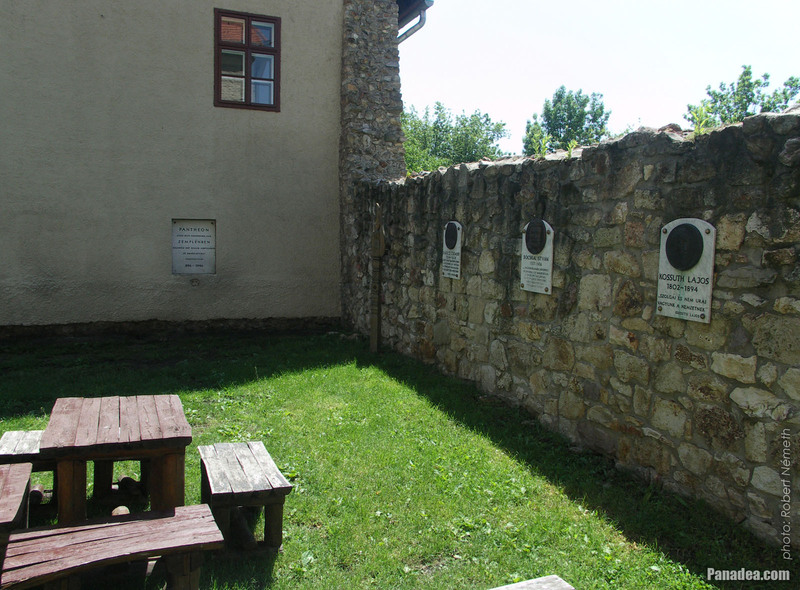 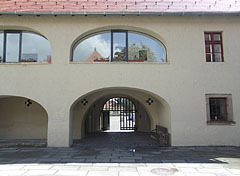 The courtyard of the "fore-castle"
The word "fore-castle" should not be confused with the maritime term "forecastle", which refers to the fore part of the upper deck of a sailing ship (the part forward of the foremast). 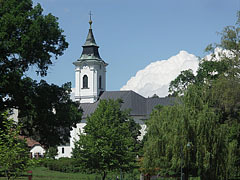 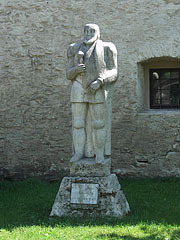 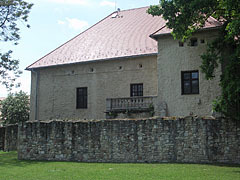 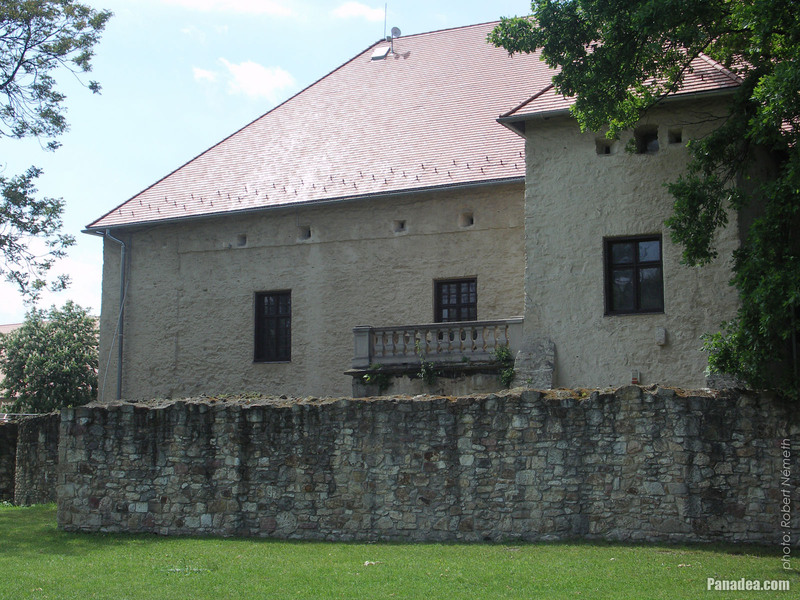 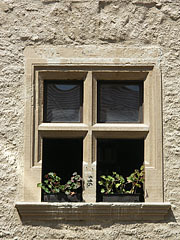 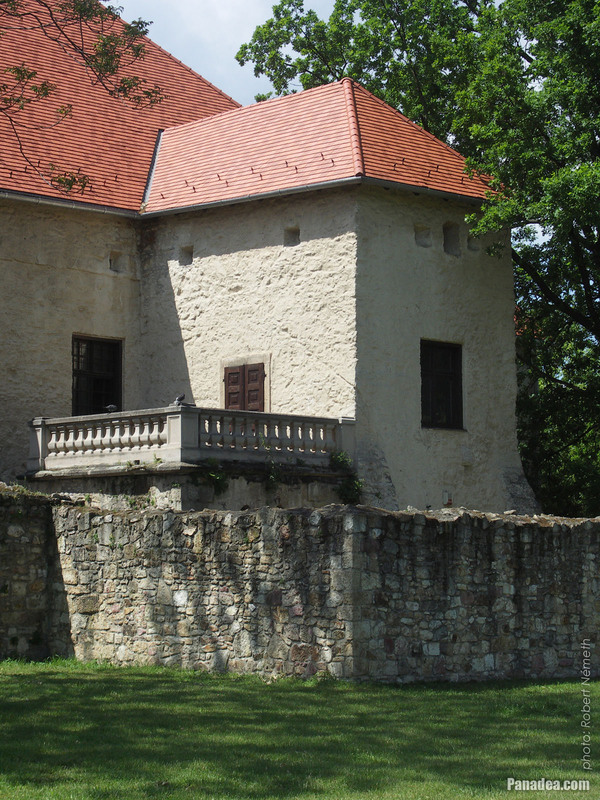 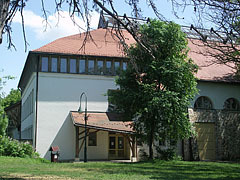 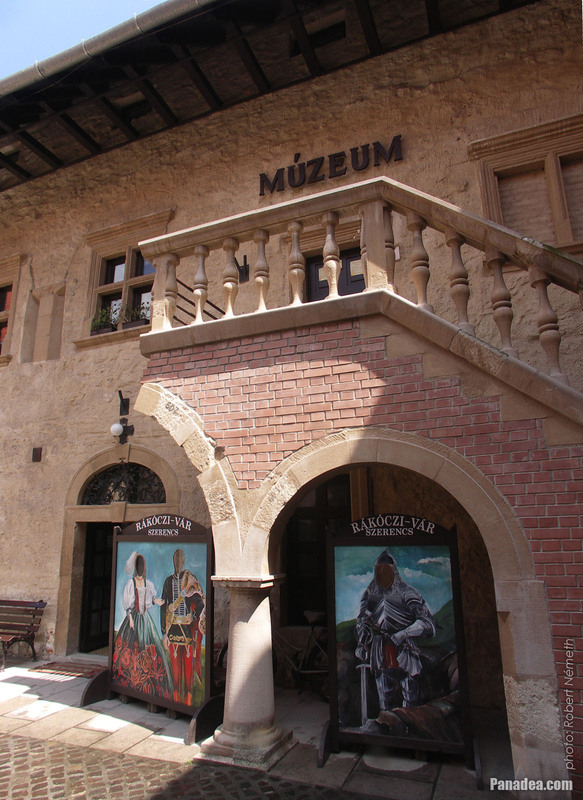 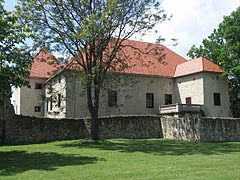 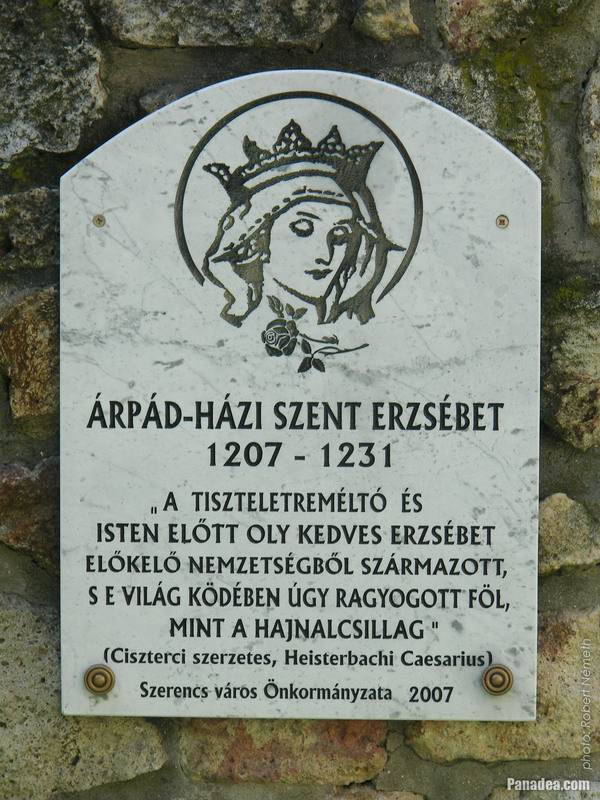 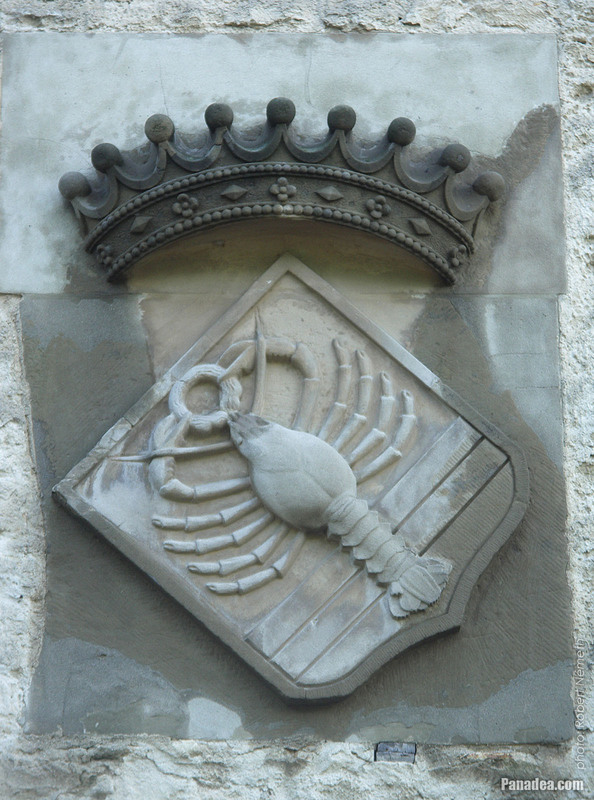 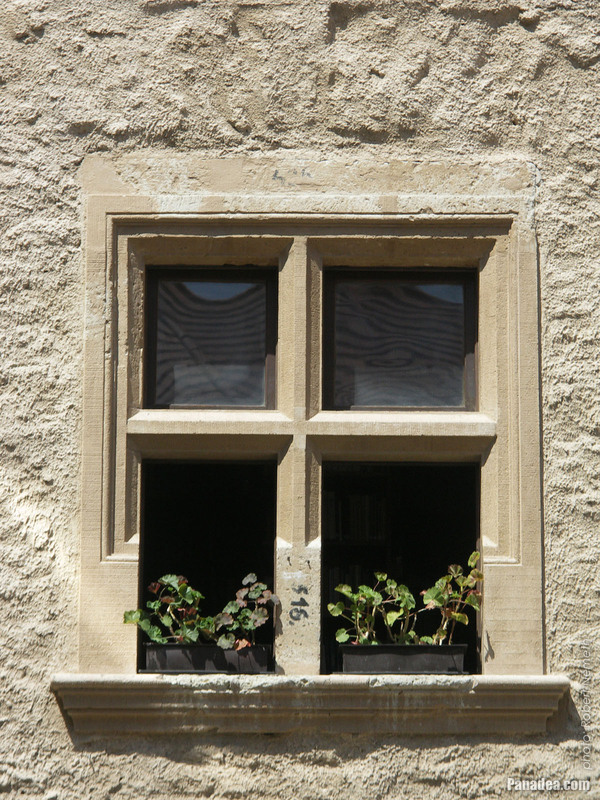 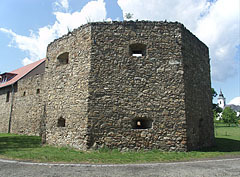 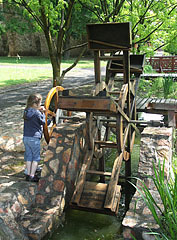 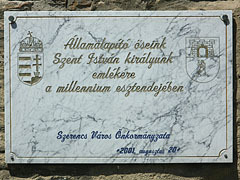 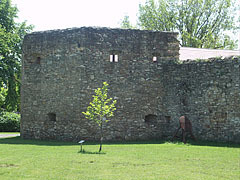 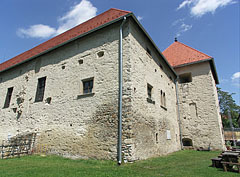 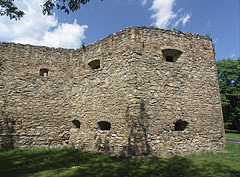 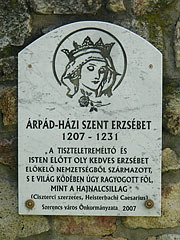 The Szirmays converted the medieval castle to a baroque castle in the 19th century. 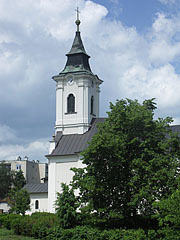 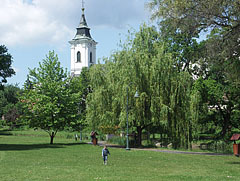 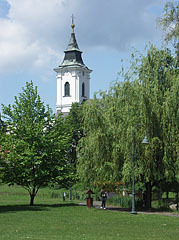 In the distance above the trees the tower of the Roman Catholic Church of the Nativity of Mary ("Kisboldogasszony-templom") can be seen. 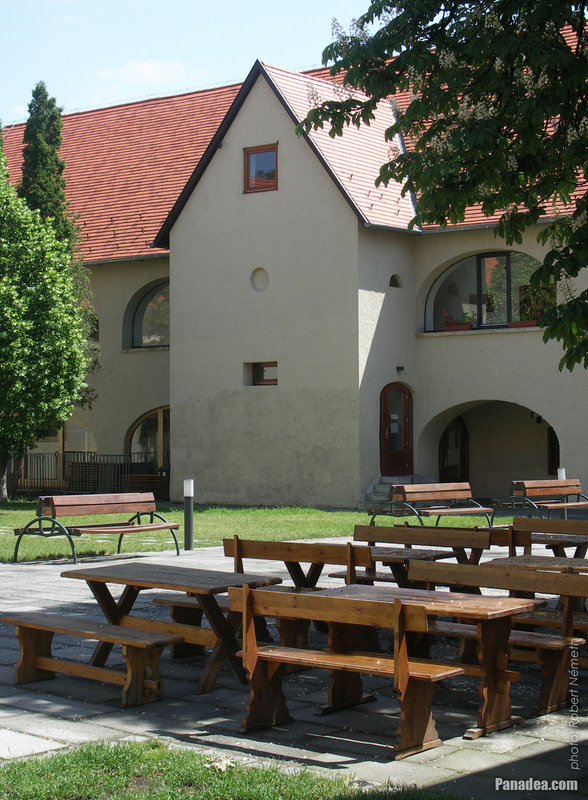 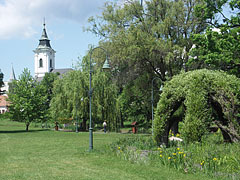 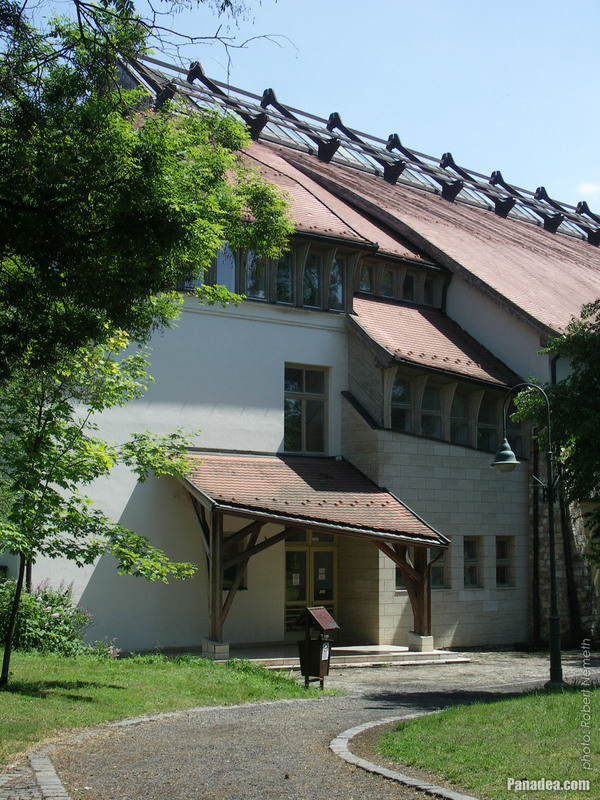 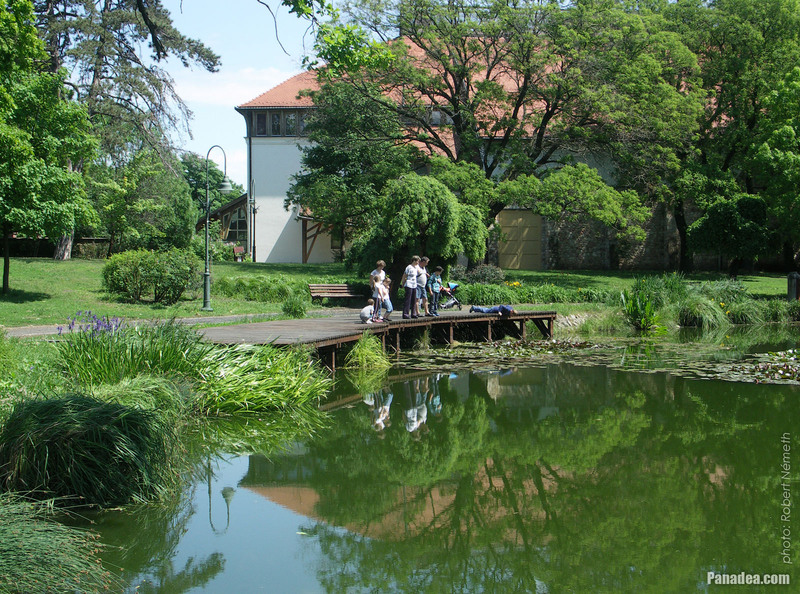 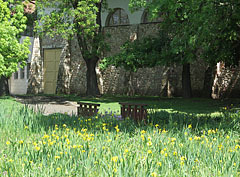 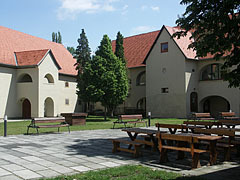 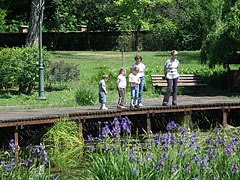 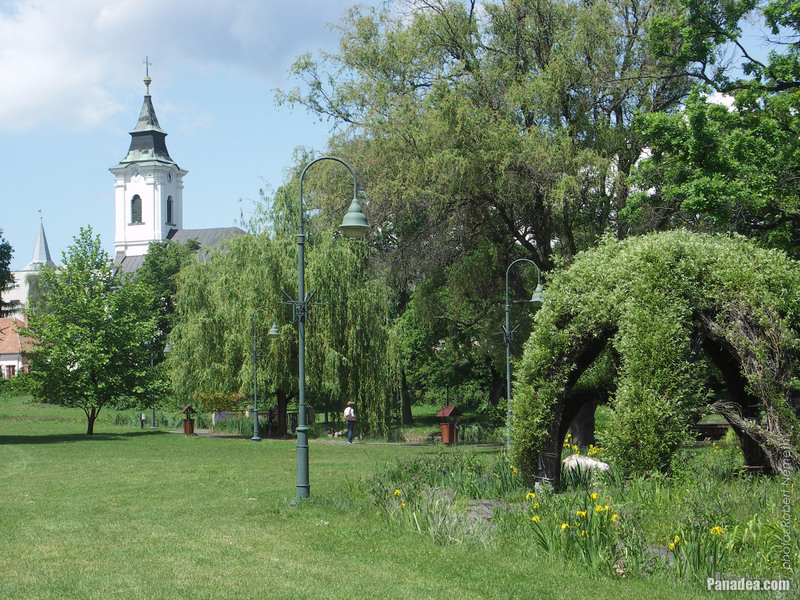 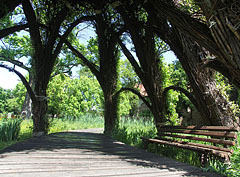 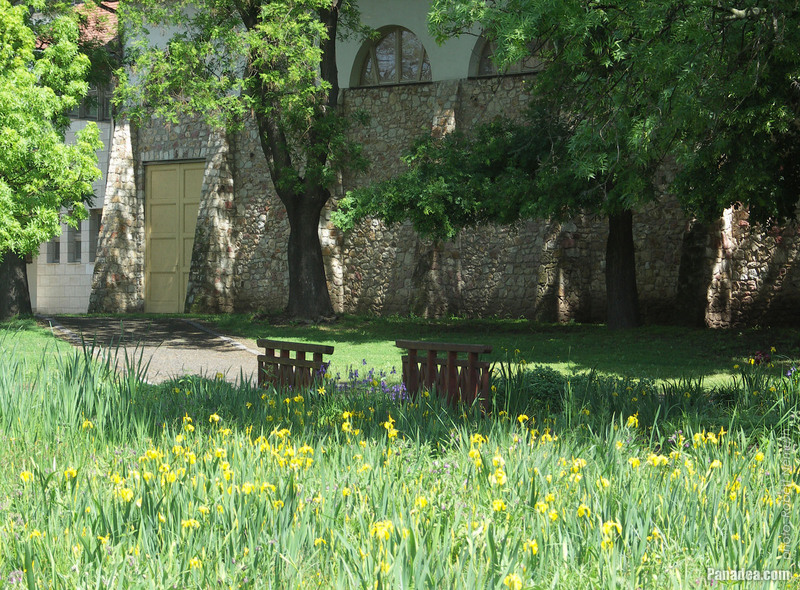 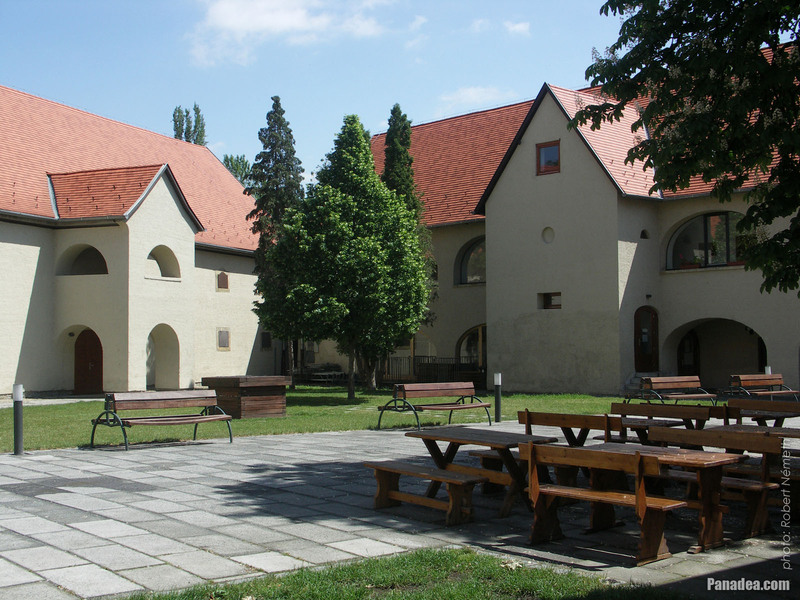 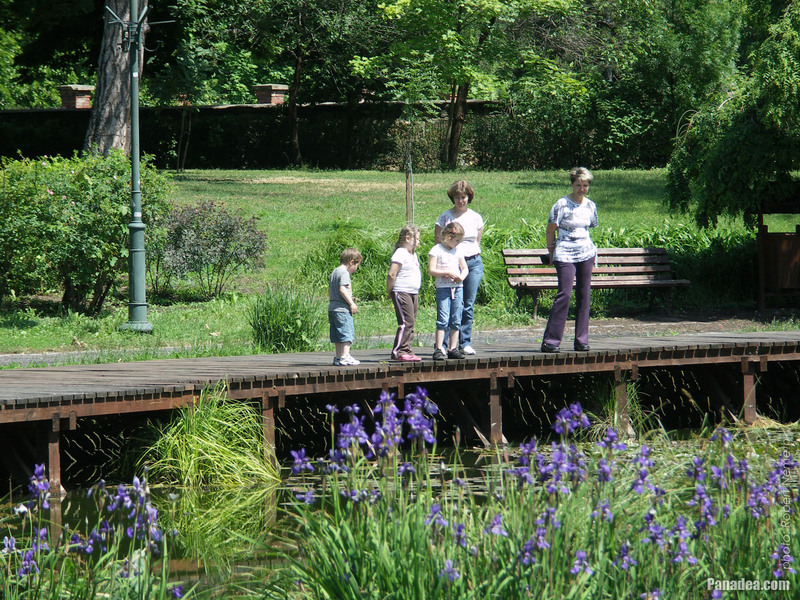 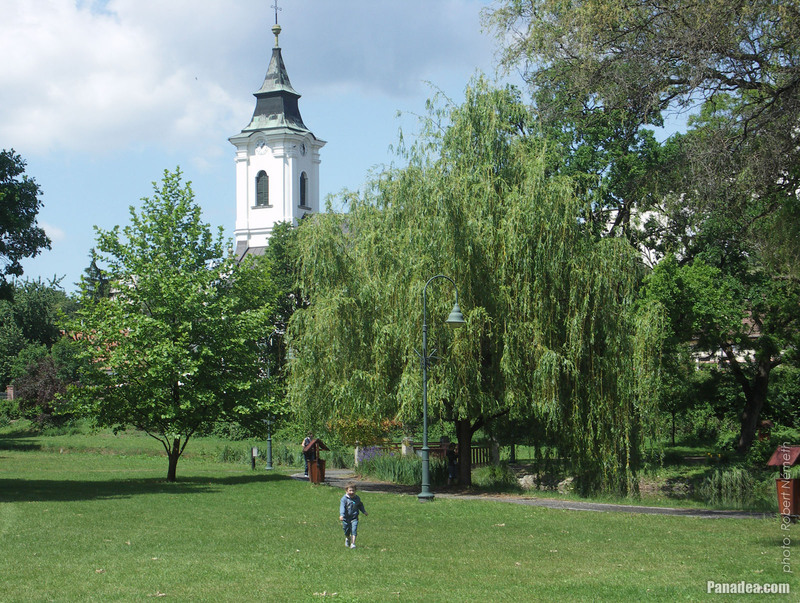 In the background behind the trees the building of the Bolyai János Primary School tries to hide. 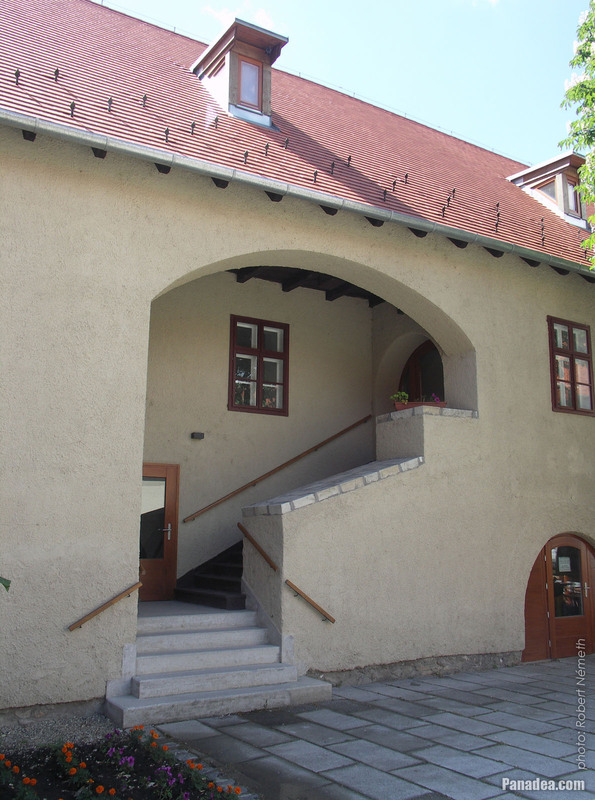 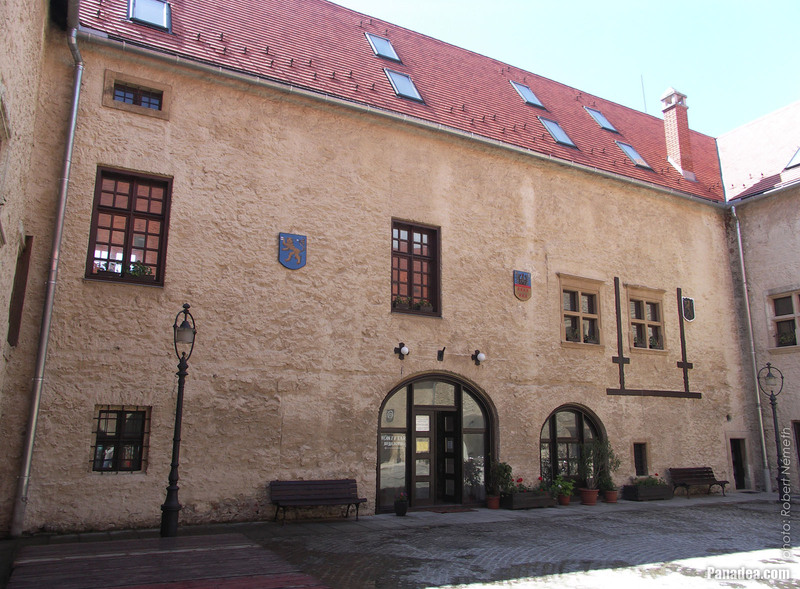 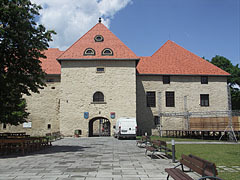 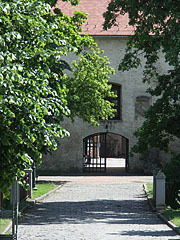 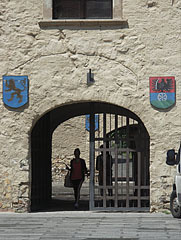 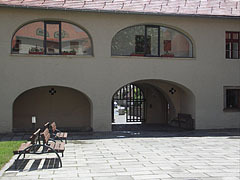 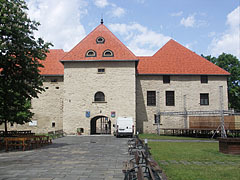 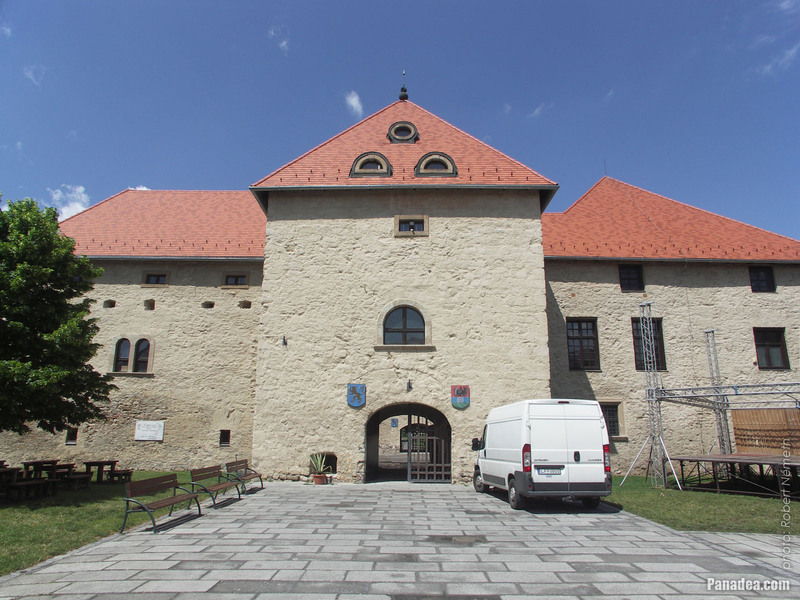 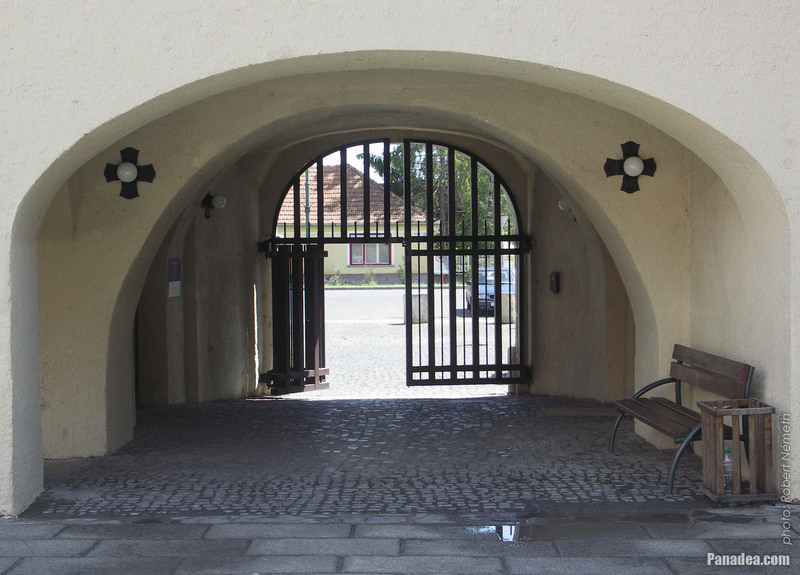 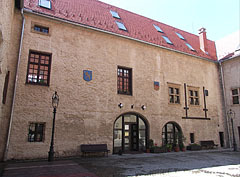 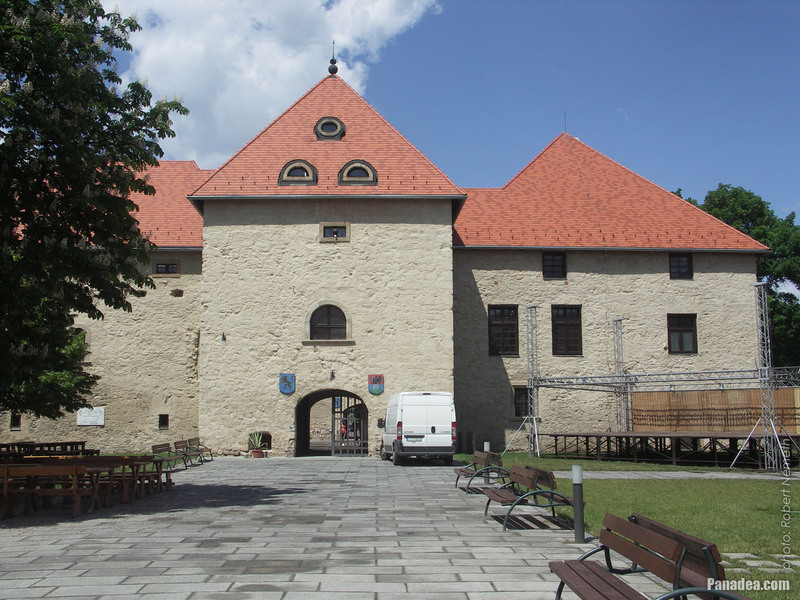 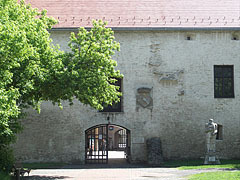 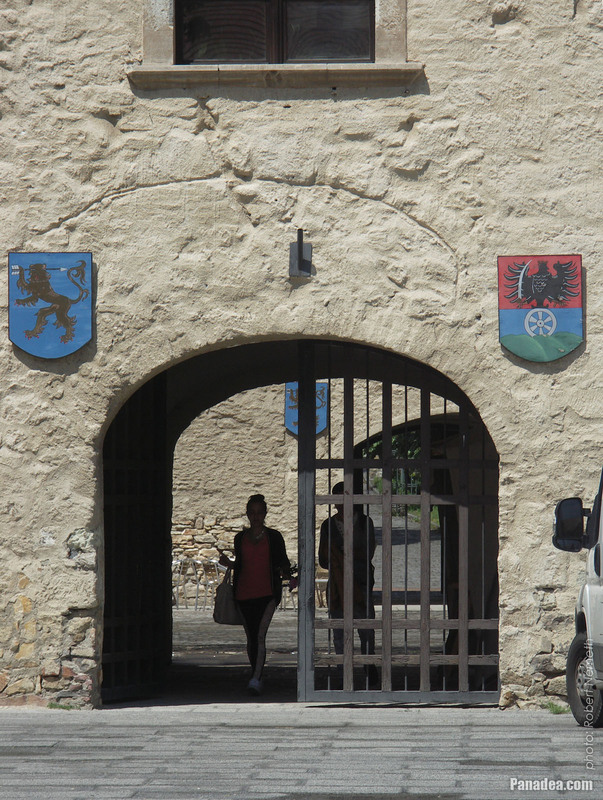 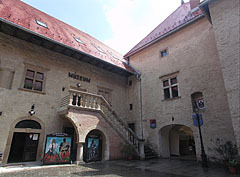 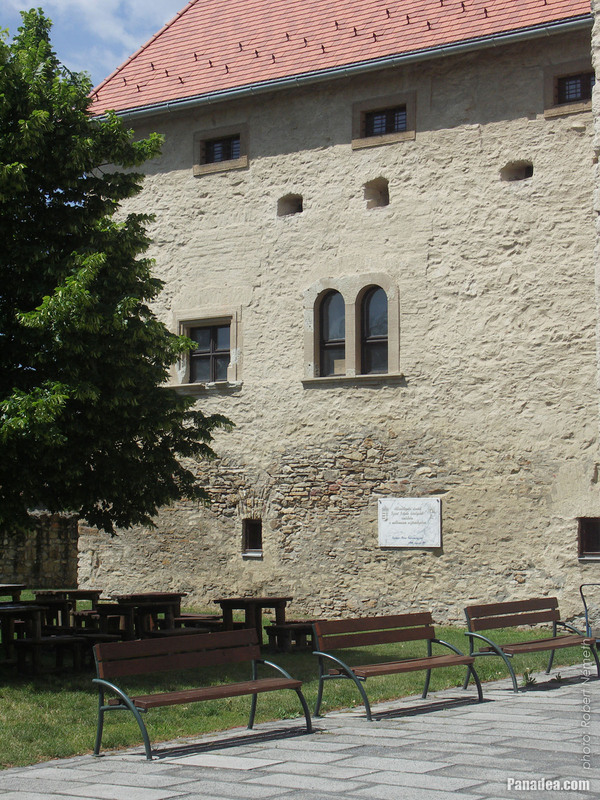 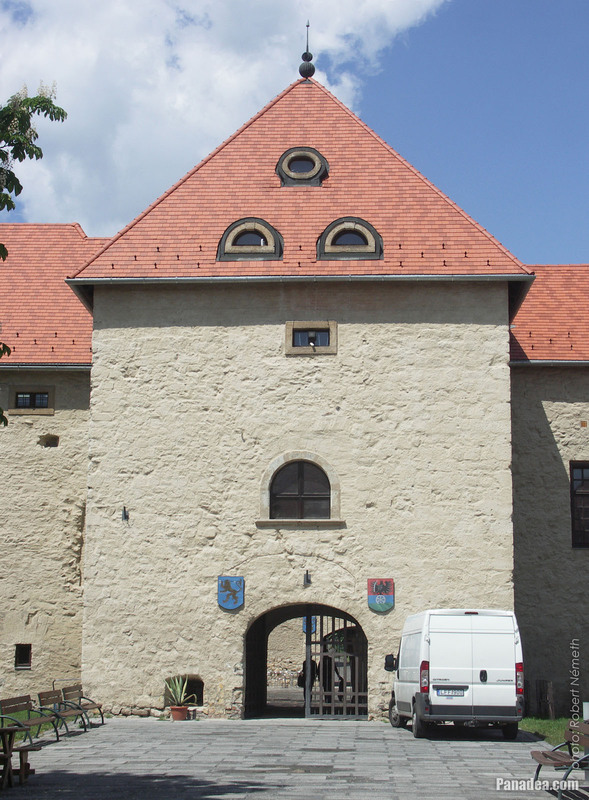 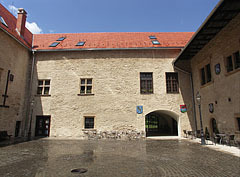 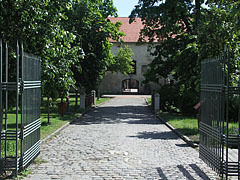 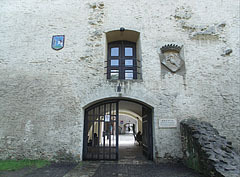 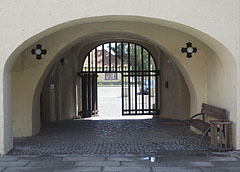 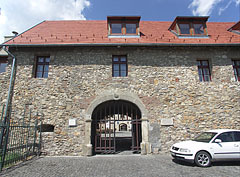 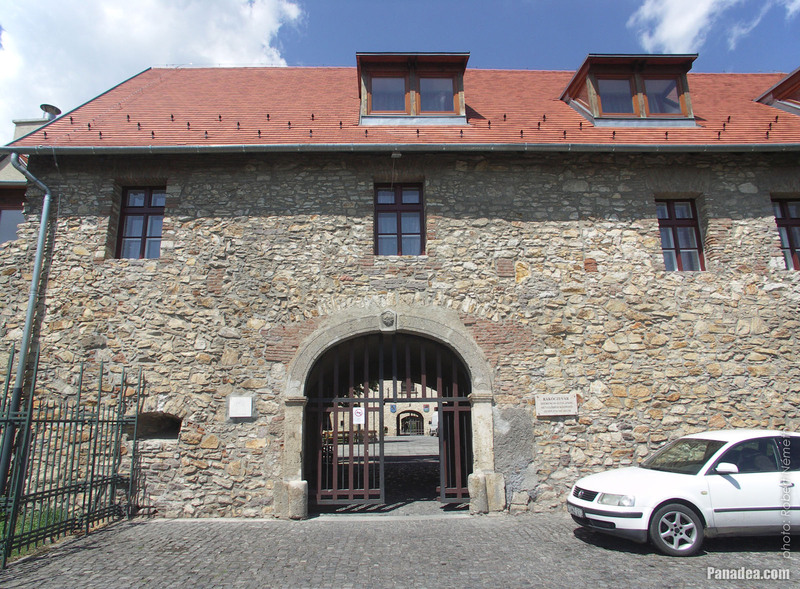 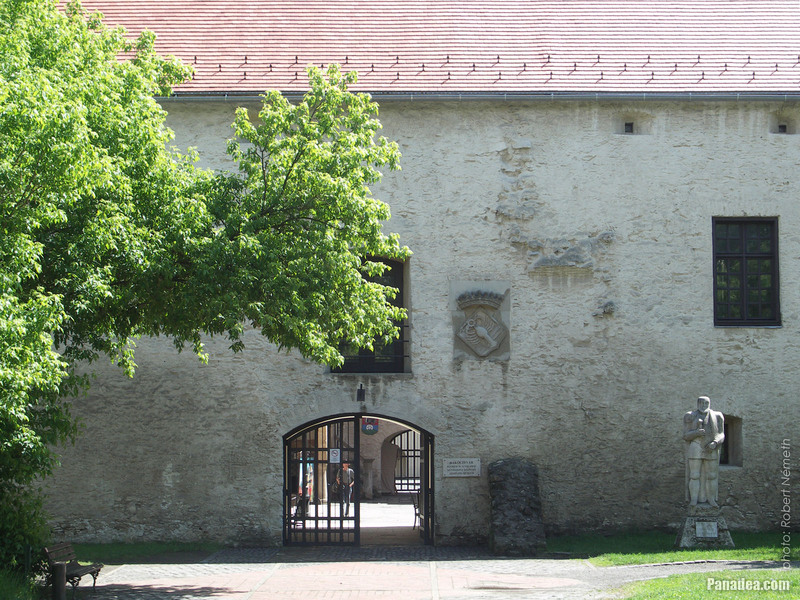 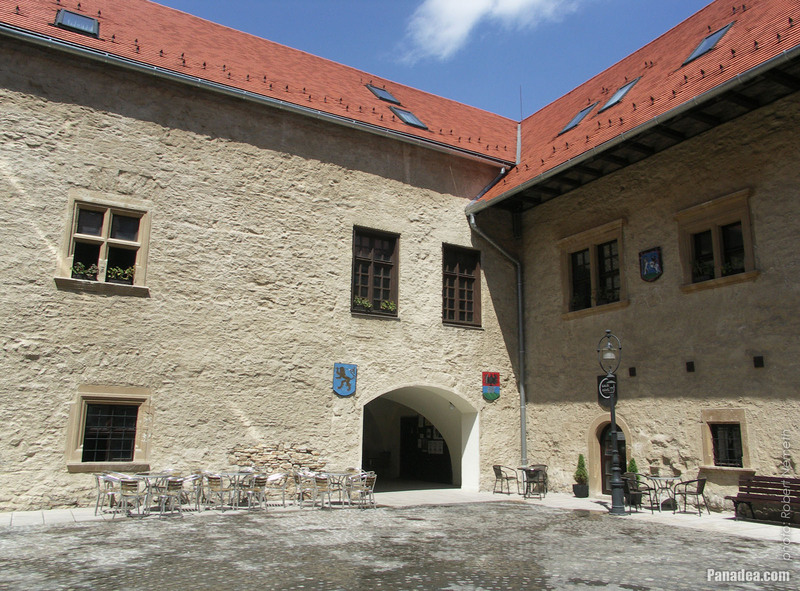 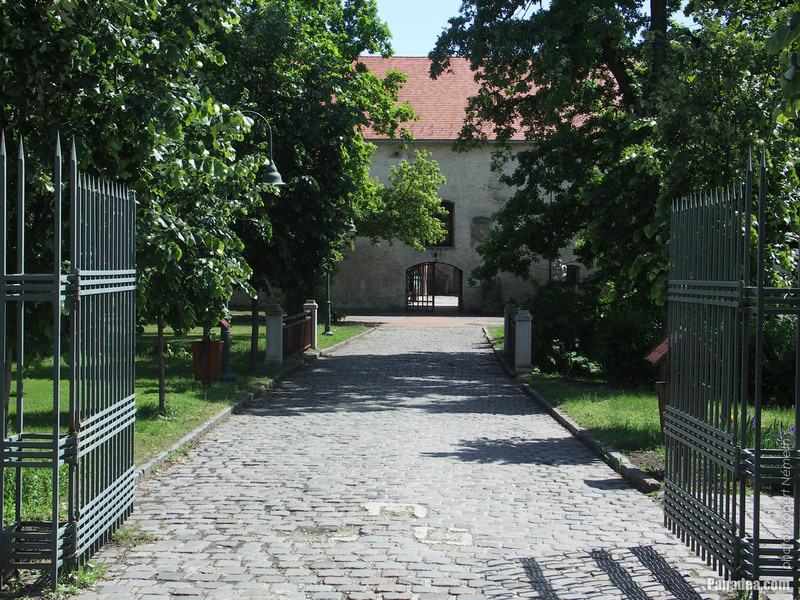 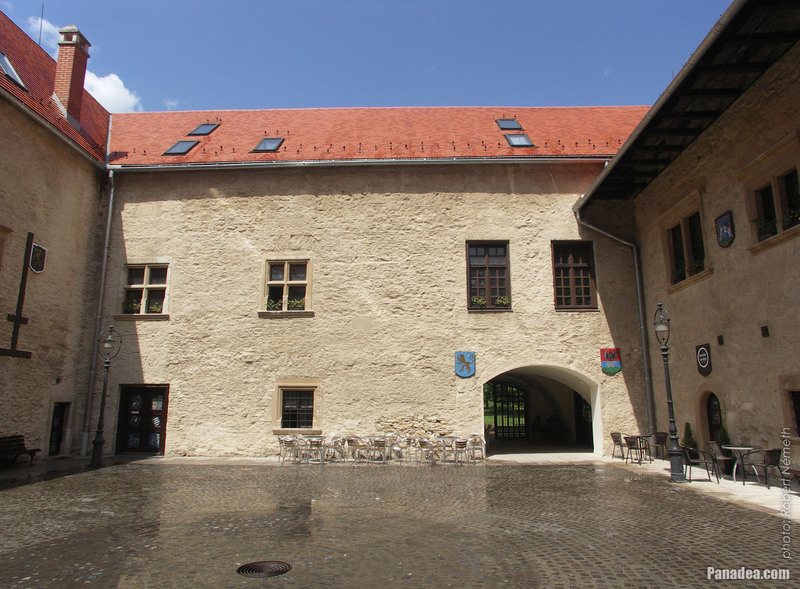 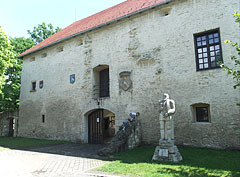 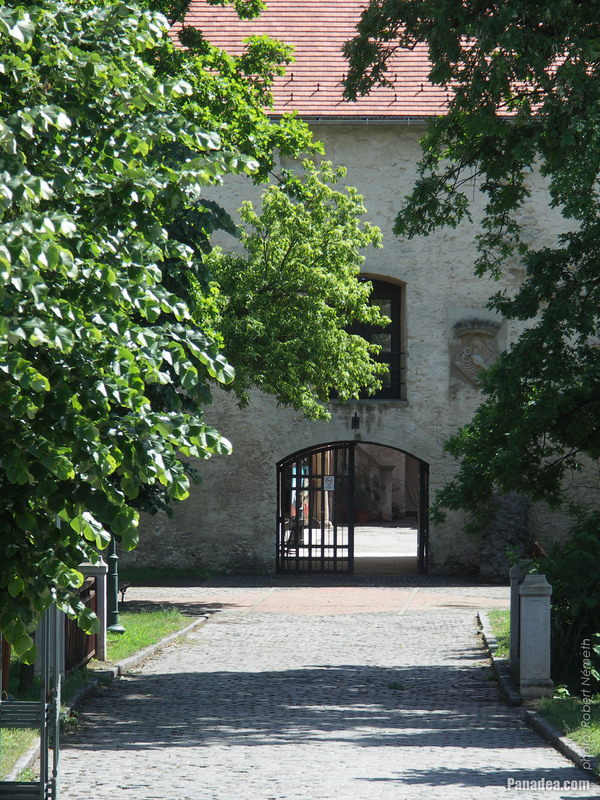 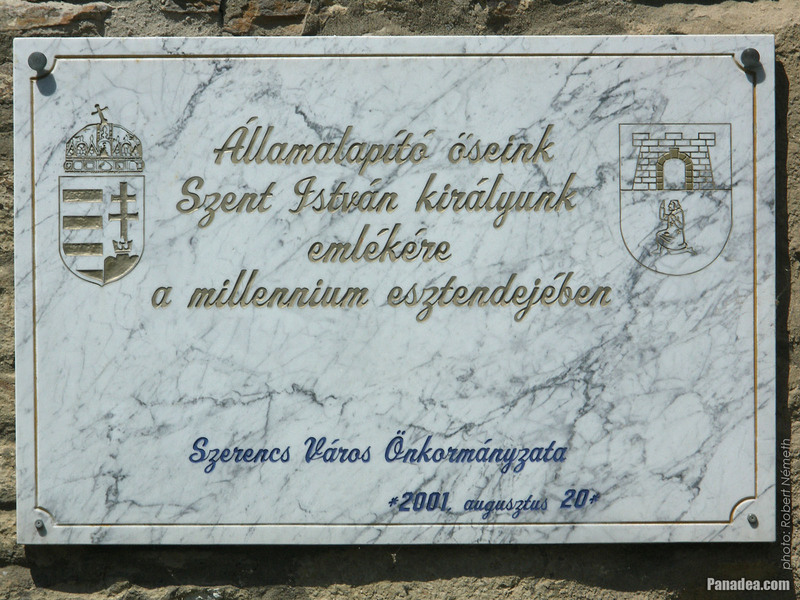 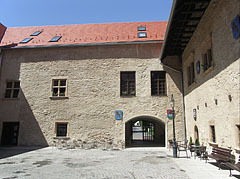 The Outer Gate Tower and the southern entrance of the castle, the part of the building on the right is called "the residence of the court judge"
The plaque was inaugurated in 2001. 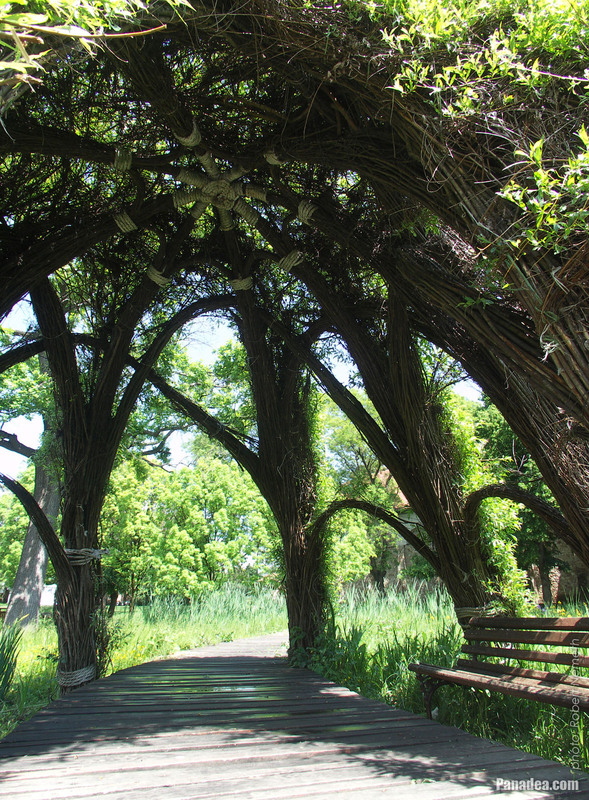 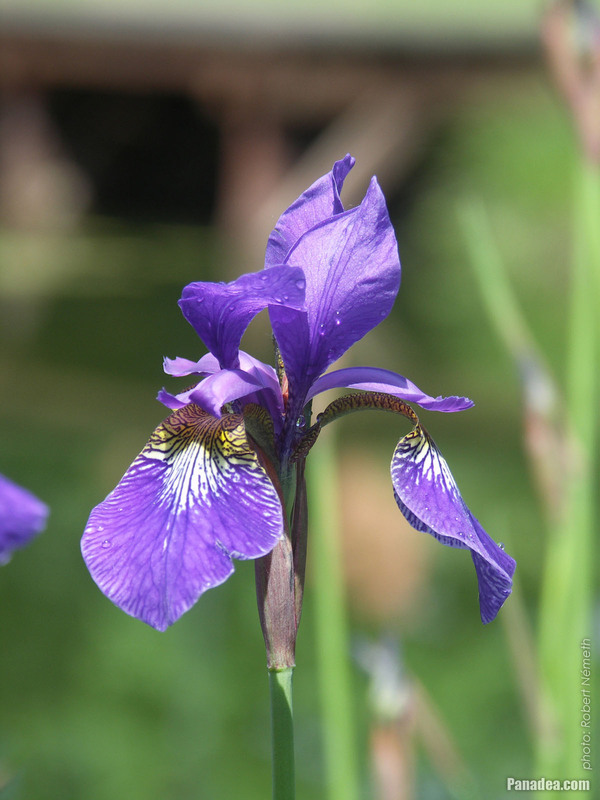 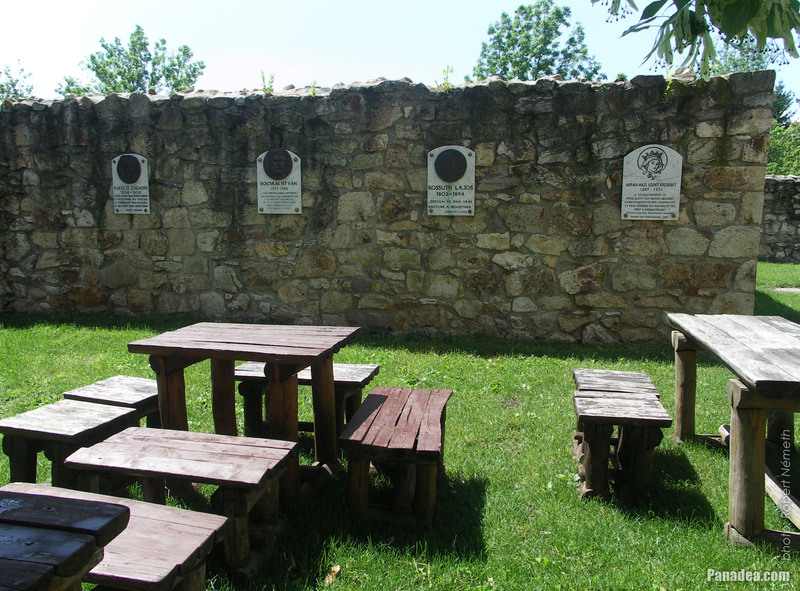 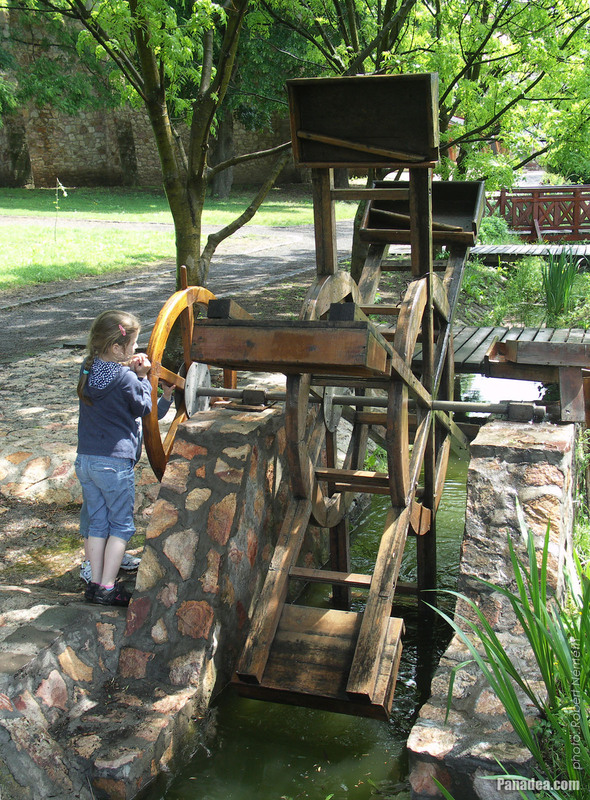 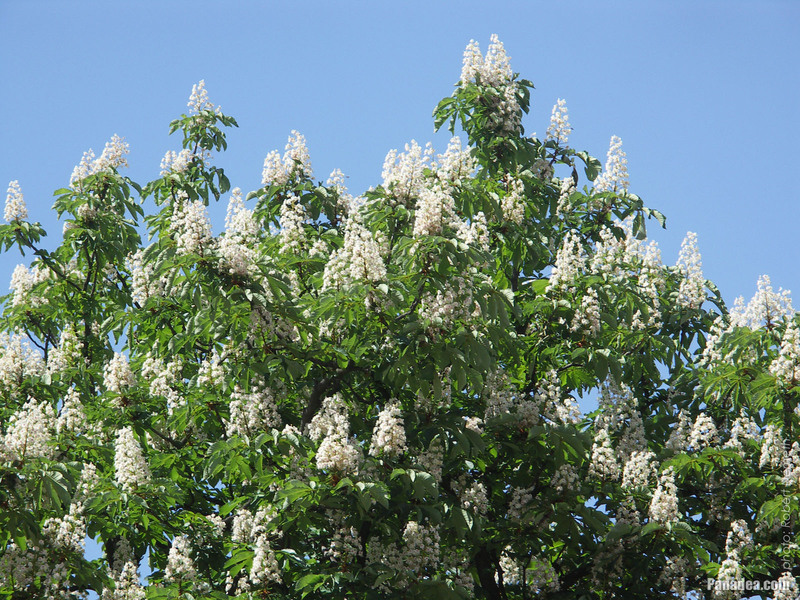 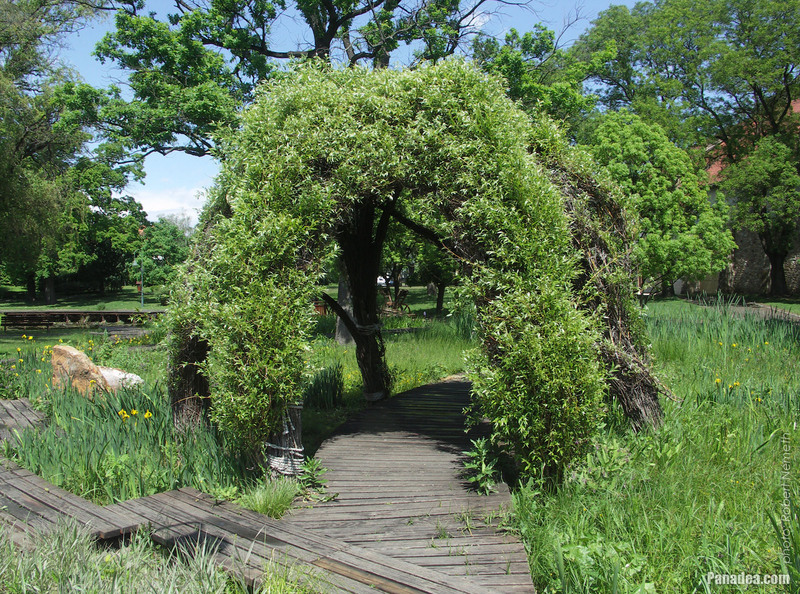 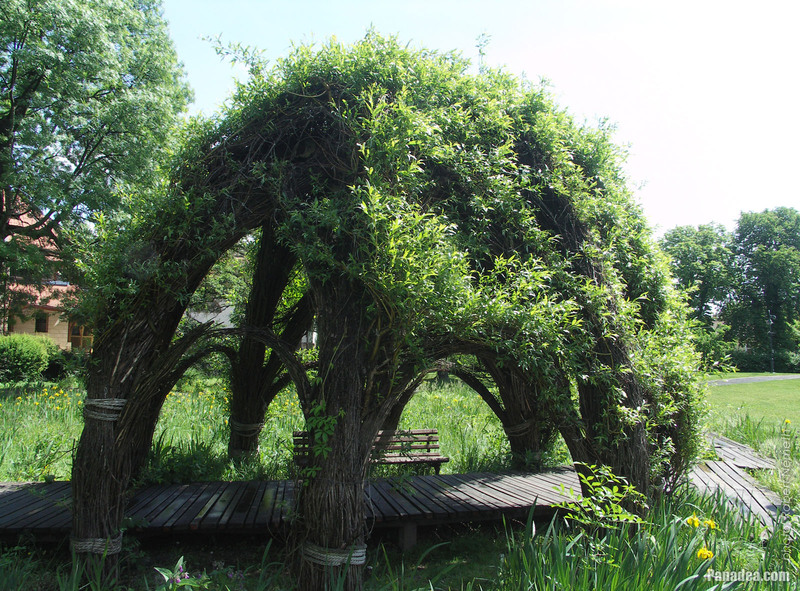 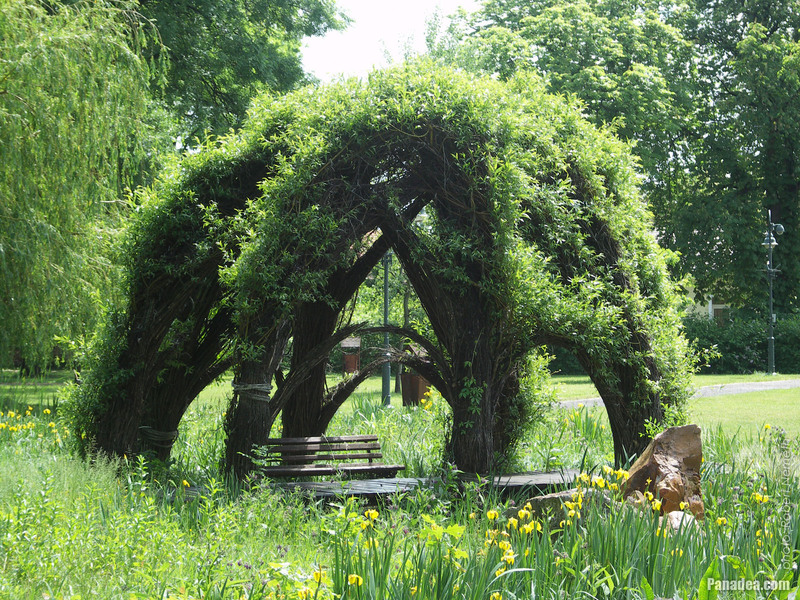 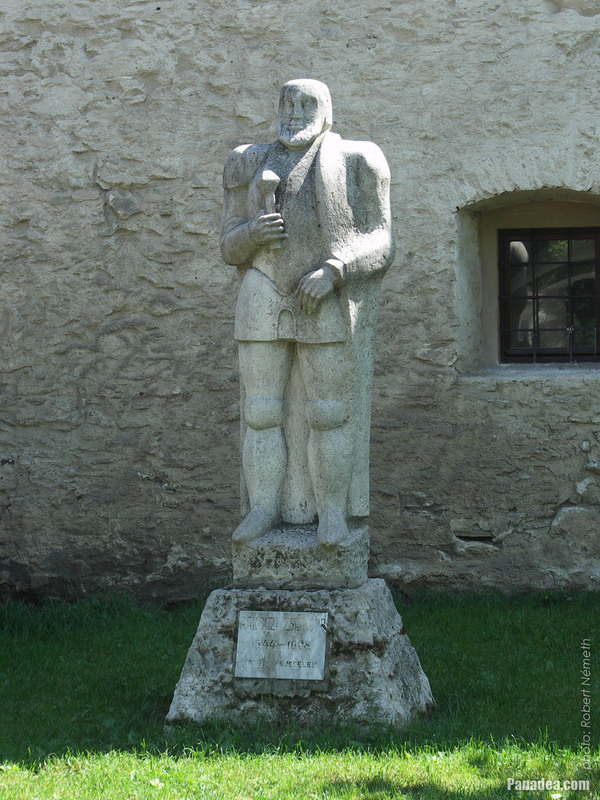 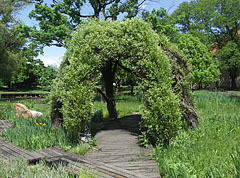 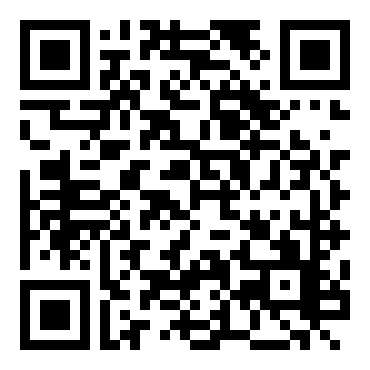 It is in the so-called Pantheon of the important historical people who are related to the Zemplén region. 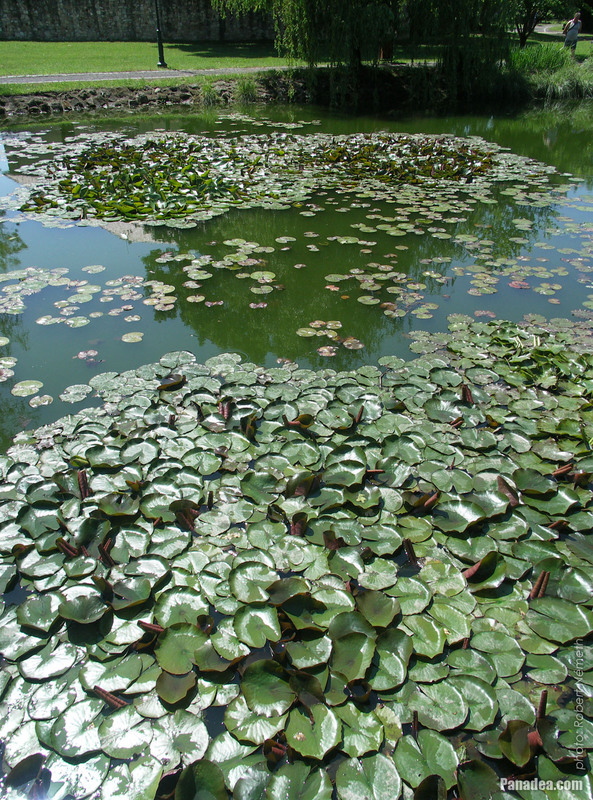 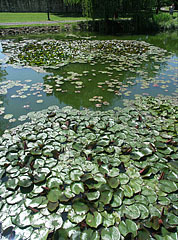 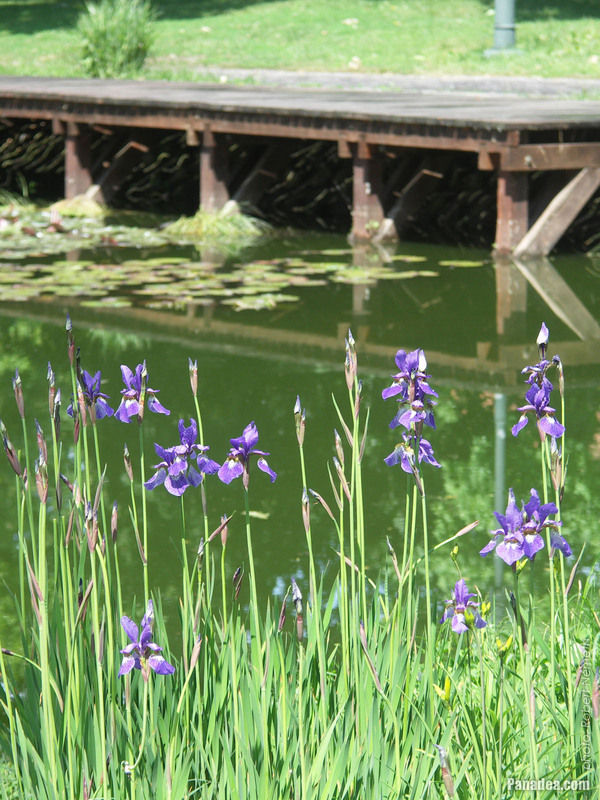 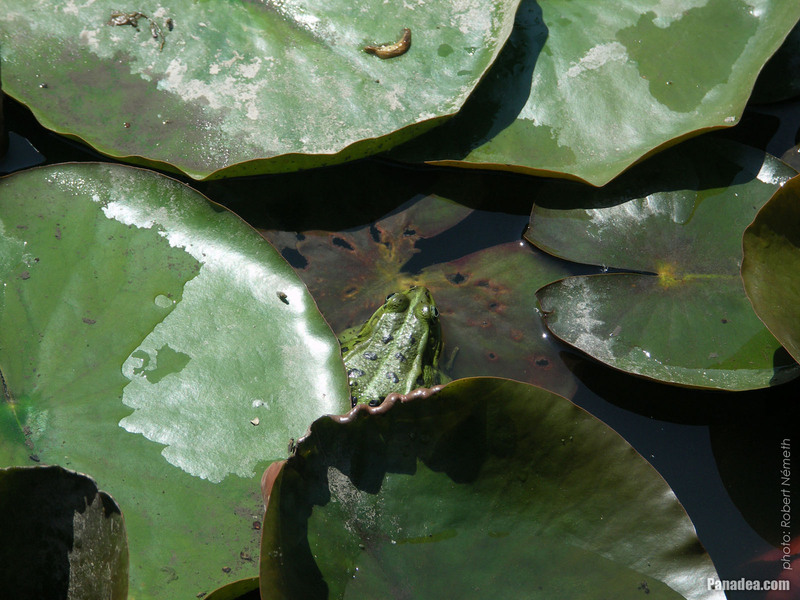 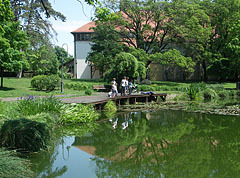 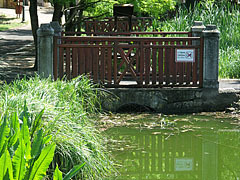 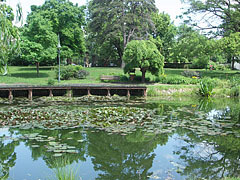 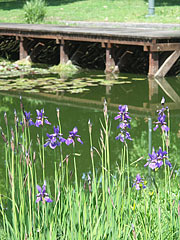 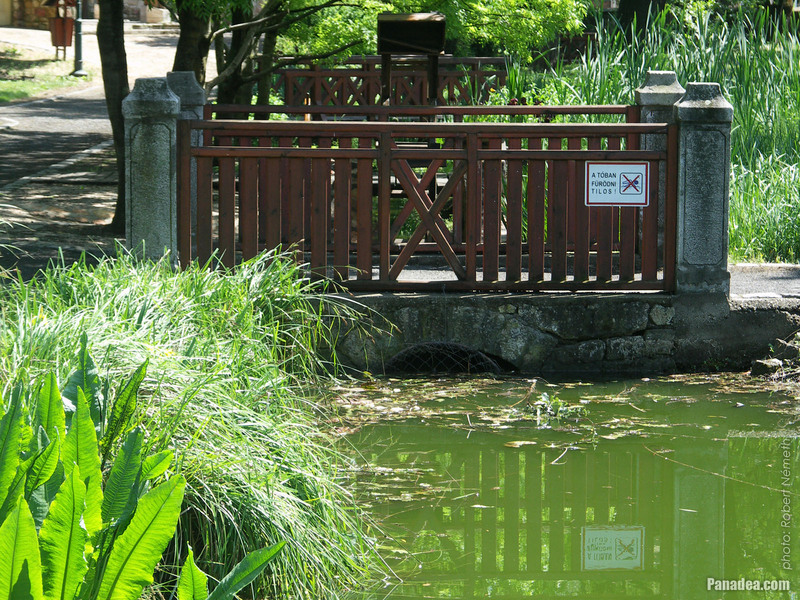 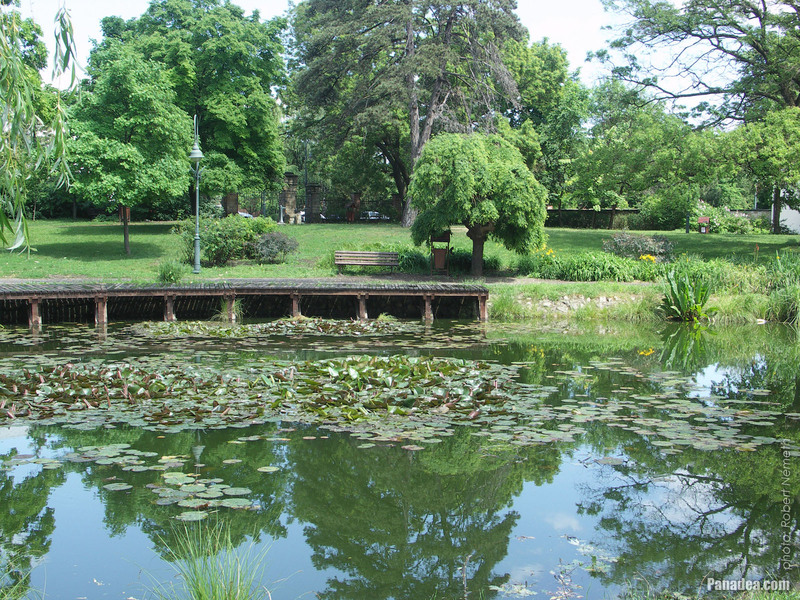 The pond was probably part of the fromer moat (water-ditch). 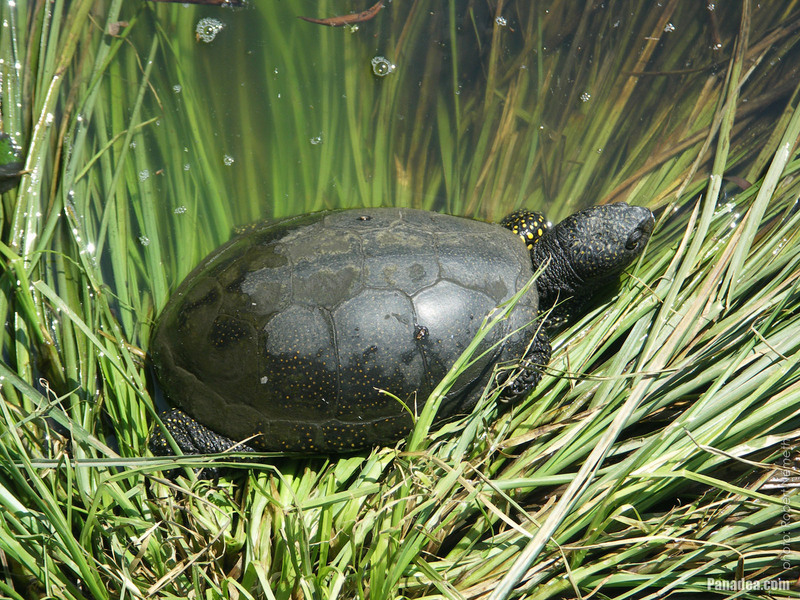 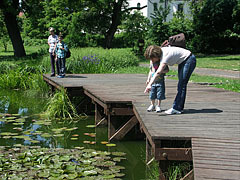 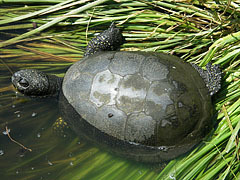 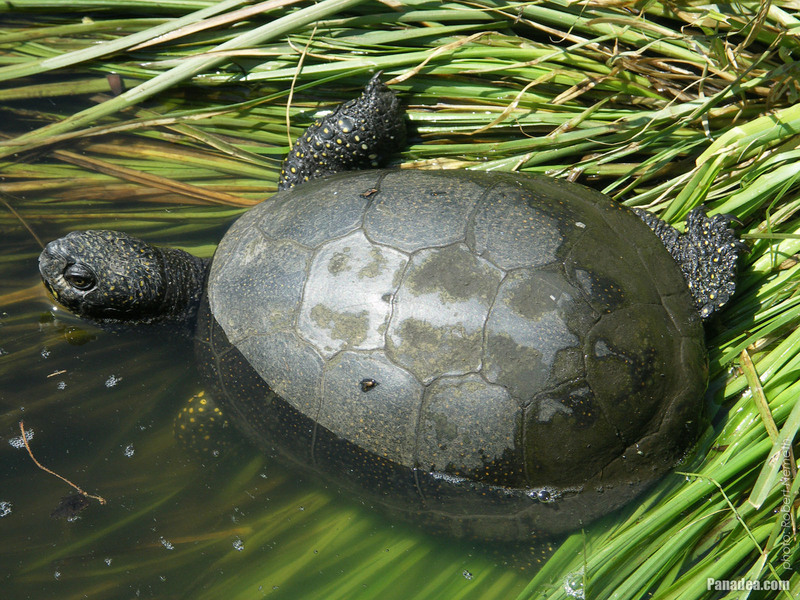 The only native turtle species in Hungary, protected animal. 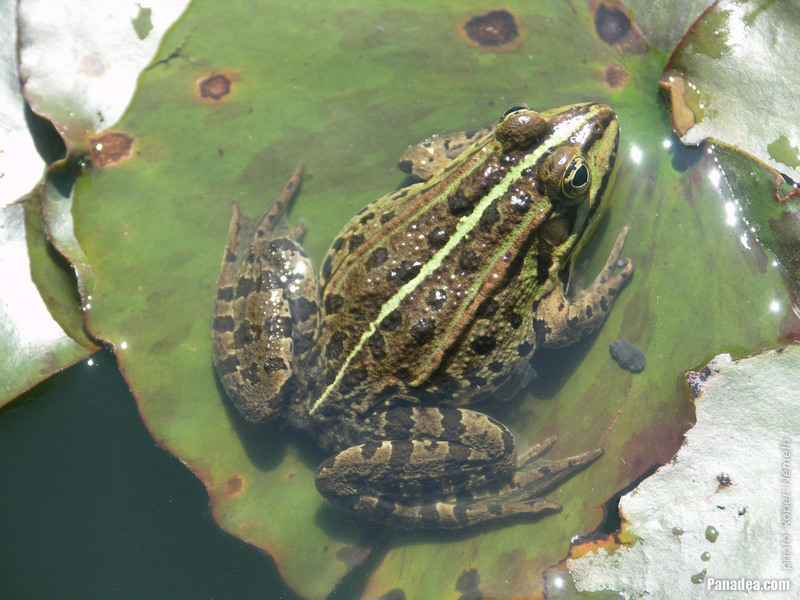 Its slightly larger size and rougher skin distinguishes it from the edible frog. 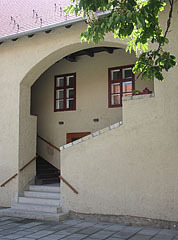 Stairs of the former "baking house"
The stairs of the so-called "baking house"